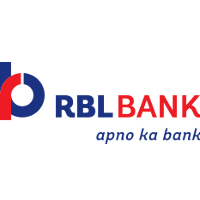 Customers of India’s RBL Bank can now make QR code-based mobile payments using Mastercard’s Masterpass QR mobile payments solution, which has been integrated as a payment option within the bank’s OnGo mobile wallet. “Shoppers can make fast, simple and secure digital payments at any place where Masterpass QR is accepted, which means that they no longer need to carry cash or their physical cards to make payments,” Mastercard says. “With Masterpass QR, we are advancing the use of cashless payment methods to limit the flow of cash in the economy and take decisive steps toward realising the dream of Digital India,” says Porush Singh, division president of Mastercard South Asia. Mobile payments are expected to witness exponential growth in India following the Government of India’s withdrawal of Rs 500 (US$7) and Rs 1,000 (US$14) banknotes earlier this month. Meanwhile, this is Mastercard’s latest expansion of Masterpass, after it signed a memorandum of understanding with Pan-African banking group Ecobank in October 2016 to roll out Masterpass QR across 33 African countries.